We write assignments, essays, dissertations, case study, and every other MBA assignment task that you need during the academic course. The writers on our platform will help with various educational tasks such as proofreading, topic selection, abstracts and other academic assignments. 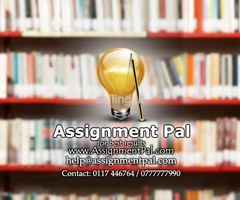 The writers in Assignment PAL also specialize in business and marketing, therefore can help with any kind of assignments, such as business plans, marketing researches, copywriting, etc.